This Mother’s Day, keep Mother Earth in mind and get your mom something eco-friendly. After you’ve chosen a gift, don’t forget: Momma Gaia will be thankful if you choose up-cycled/reused wrapping or none at all! Help mom check everything off her to-do list with the gift of small batch handcrafted certified organic tea, grown and packaged in Northern Michigan. Light of Day teas exceptionally high quality botanicals are hand-harvested and packaged with love. The loose-leaf teas come in domestically manufactured polished silver tins and they use local sources for soy-based ink labels and other packaging needs using eco-friendly sustainable materials. Help busy busy moms save time by sparing them the inevitably long lines at the grocery store. Thrive Market is a great option for organic and healthy groceries, and a one year subscription makes a great gift to save not only time but money thanks to their jaw-dropping low prices. Handcrafted, eco-conscious goods from all over the world can be found at The Movable Boutique, an ever-relocating boutique located in an iconic renovated Airstream. From sustainably sourced feather jewelry to fair trade hand beaded necklaces from the Zulu Tribe of Africa, you will find the most unique and beautiful pieces for moms of any style type. Your mom will get a lot of miles out of her new Indosole shoes because they’re made with re-purposed tires from third world countries and seem to last forever! If your mom hangs out at the yacht club get her the Prahu style, and we love the Ikhanna sandals paired with a summer dress. As a certified B-Corp, Indosole purchases are helping the greater good of people and planet in many ways. Baltic Amber soothes teething babies and has been a growing trend lately for natural teething remedies. Perfect for new moms, this gift is both functional for their teething little ones and a beautiful hand-made jewelry piece. Gifting services like massage or child care are the best gifts new or expecting moms can receive. New moms cherish time to do something for themselves, especially something like the pampering and healing touch of massage. Call upon your crafting skills to make mom an up-cycled apron with pockets for tools and seeds. You can find aprons and extra cloth to make the pockets at second hand stores to give a second life to, and the gardening apron will also help protect mom’s attire from gardening stains. Moms love FGHP because it’s the cleanest way to clean EVERYTHING! It’s great for cleaning baby toys, washing produce, doing laundry, and disinfecting the house the all-natural, non-toxic way so your surfaces, food, and textiles remain chemical and bacteria free. 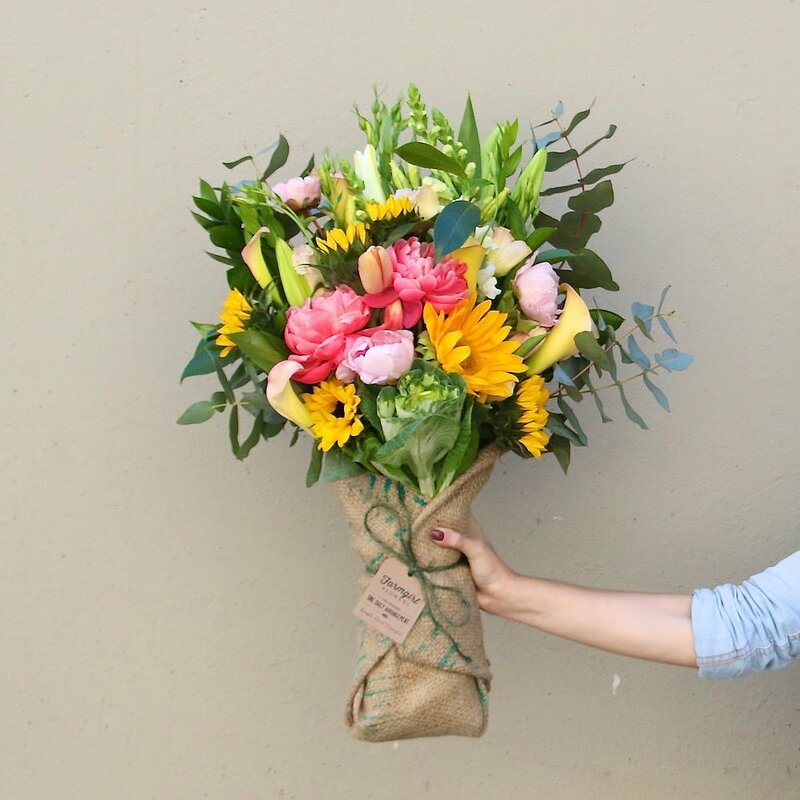 By far the most beautiful flowers we have seen, Farm Girl Flowers are purchased fresh daily from small, local farmers all over the country. They’re delivered via bike or scooter and are sure to bring a big smile to mom’s face. We truly can’t get over how amazing they are, they’re stunning, seriously!